I keep meaning to make these. So many projects, so little time. Ditto, Tracy;) I love the fabric you used on this one Gale. Adorable! This is cute.....love the fabric you selected. 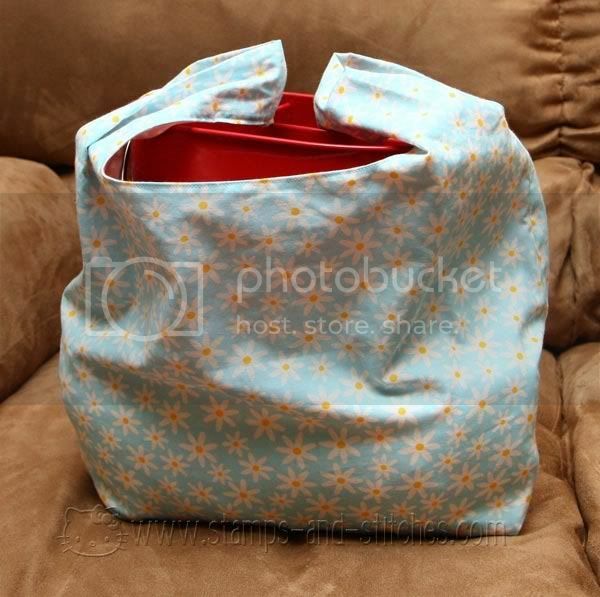 I bought a bunch of Christmas material (after Christmas) with the intention of making some bags similar to this. Now I just need to get them made before Christmas is here!!! This is really cute. Love it. Wish I could sew! Your grocery bags are so cute and so useful. I love the lining too! Making these for gift bags is a great idea. If I can't find a gift bag for $1, I will not buy one. Peroid. 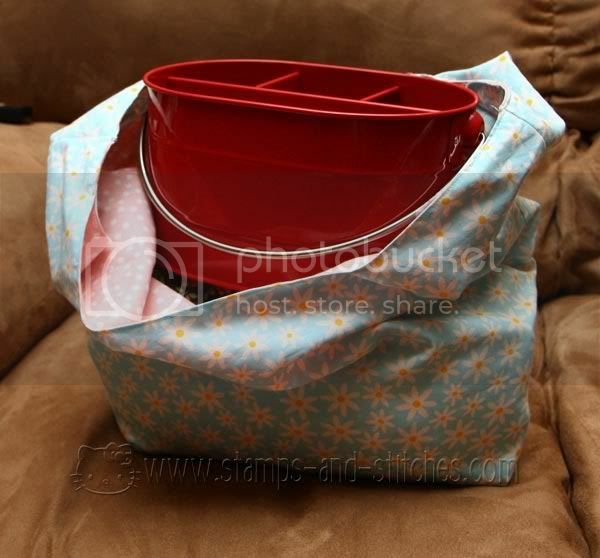 this is practical, and the recipient can use it over and over! This is so RAD! I love everything about it. Clever you too multi tasking!